The grid supports 2 sorting modes demonstrated in this demo. The first mode is the normal mode which only allows sorting on one column and is indicated with a blue triangle displaying the column that is sorted and displaying the sort direction. When switching the multi column sorting, the blue triangles change to yellow triangles displaying the index number (default 1). 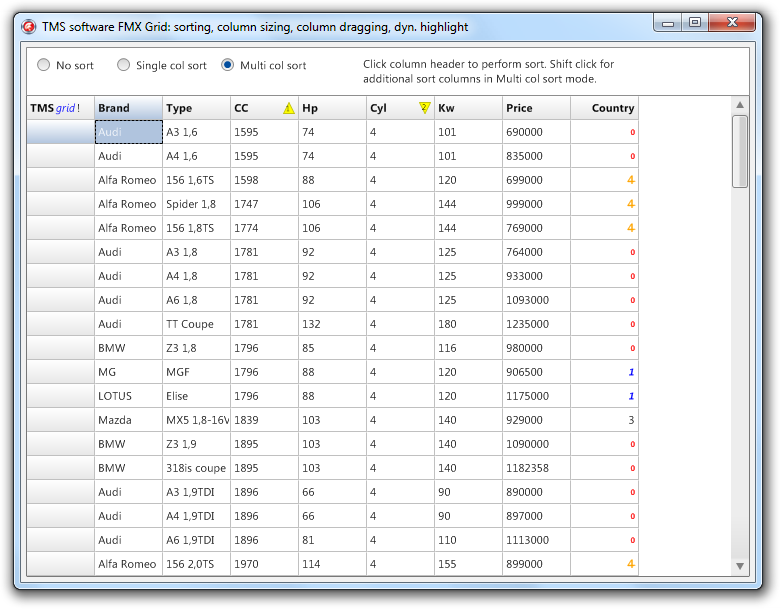 In this mode multiple columns can be selected and sorted with the shift key. When releasing the key and clicking on a column, the grid returns to sorting on 1 column.